Jennifer Mackenzie reads from her book, Borobudur (Lontar). POETRY IN MELBOURNE has a rich history. Any day of the week there are venues that promote poetry to a range of audiences. There is a generosity of spirit from conveners that host poetry events. Some readings have run for over 20 years. 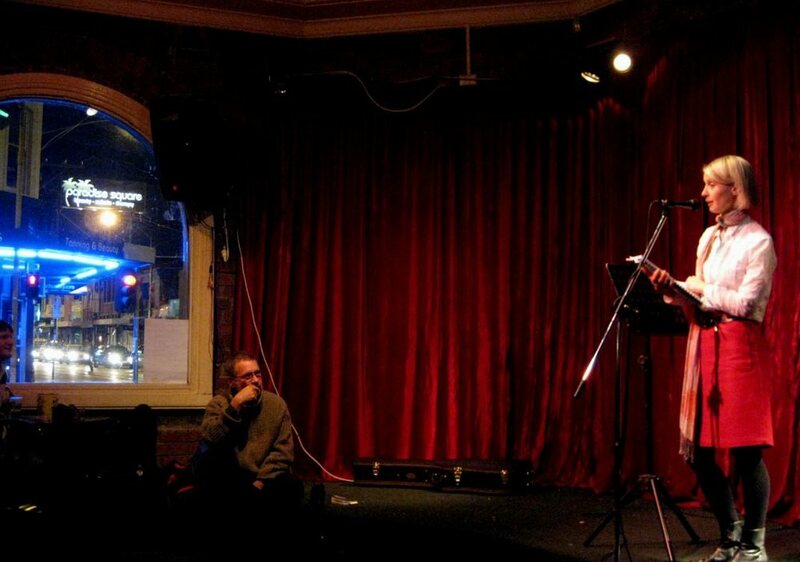 For a poet living in Melbourne, there is a plethora of places to hear poetry. If you are a visitor to Melbourne, you could wander into the historic Nicholas Building to find Collected Works - an entire bookshop specializing in Australian and international poetry books. PHOTOS: I have taken many photographs of poets over the years and here are some snapshots that reveal the variety. I have chosen images that 'speak' of Melbourne's poetry history through location, event or through its faces.